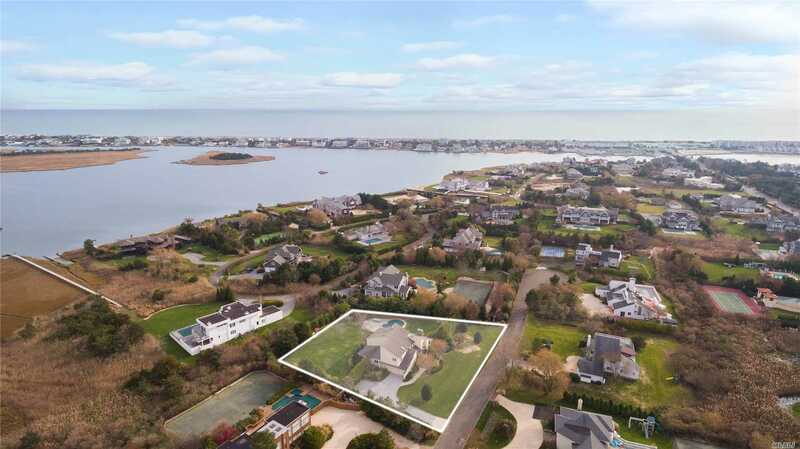 This Pristine Contemporary Is Located On A Cul De Sac In The Estate Section Of Westhampton Beach. Renovated 5400', 6 Bedroom 5 1/2 Bath Home Is Situated On A Beautiful Landscaped Acre. The Interior Features Sun Filled Rooms With Vaulted Ceilings, A Great Room With A Wood Burning Fireplace, Expansive Gourmet Chefs Kitchen Built For Entertaining With Viking, Sub-Zero, And Bosch Appliances. Huge And Luxurious Master Suite. Step Outside To A Mahogany Deck W Free Form Pool. Quiet And Private.